First, click Trackers and select your tracker. In your tracker, click on the title of the standard that contains the assessment for which you want to print scores. 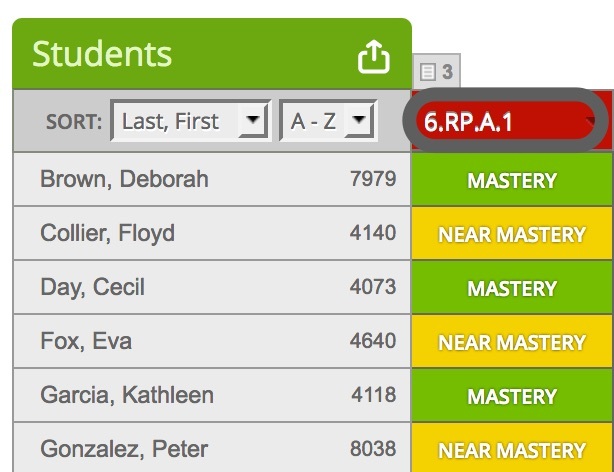 Hover over the assessment title and select Print Student Scores. Note: For a multi-standard assessment, click on the title of the assessment, then click the orange menu button and select Print Student Scores. 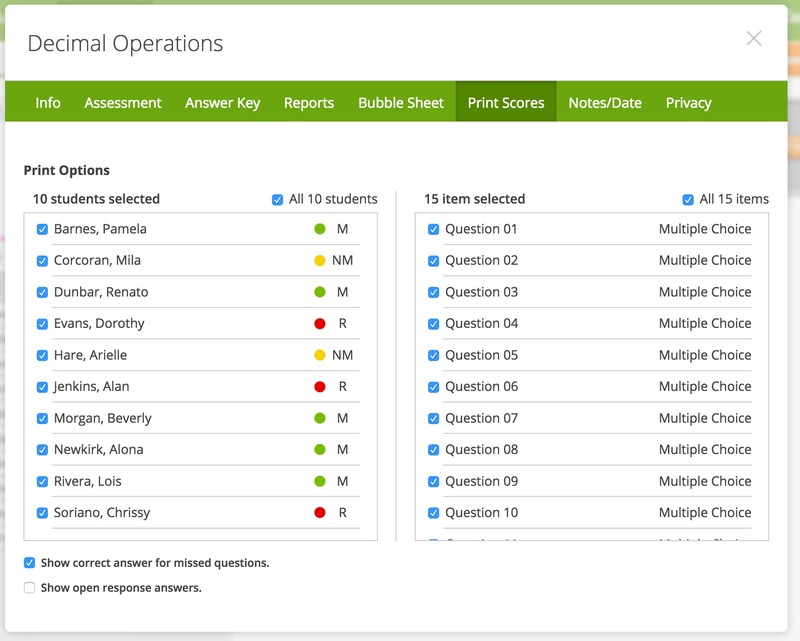 On the left side of Print Scores dialog box, select the students for whom you'd like to print scores. On the right side, select the questions. Also, on the bottom, select the boxes for options to Show correct answer for missed questions and Show open response answers. When you're finished, click the Print button to begin printing.